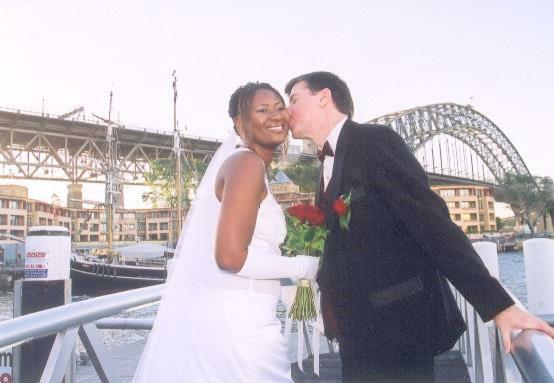 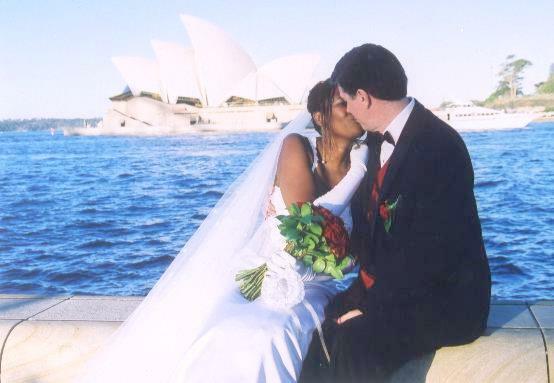 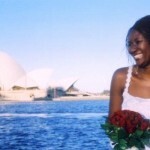 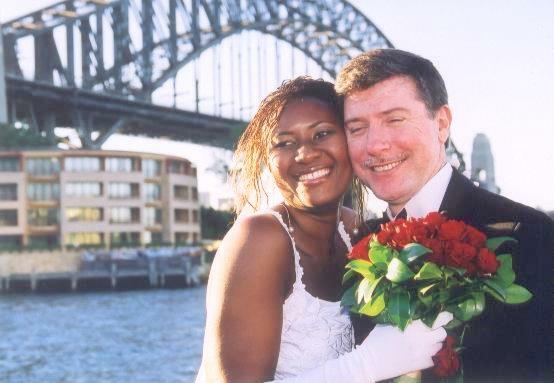 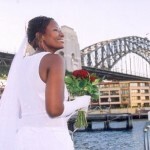 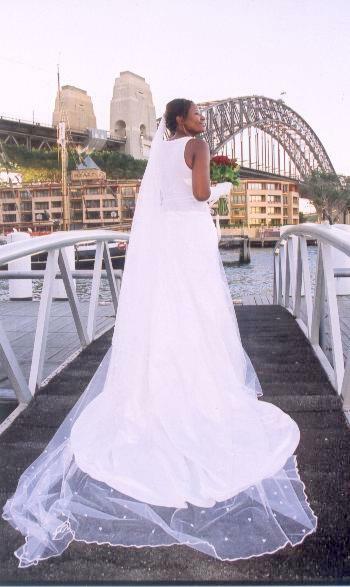 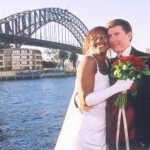 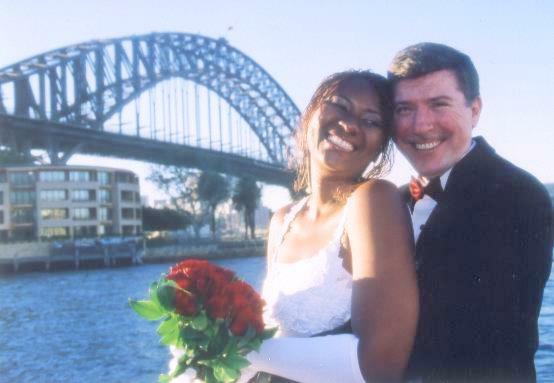 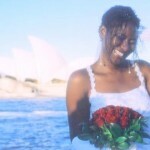 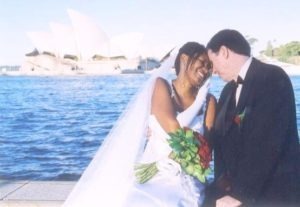 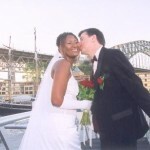 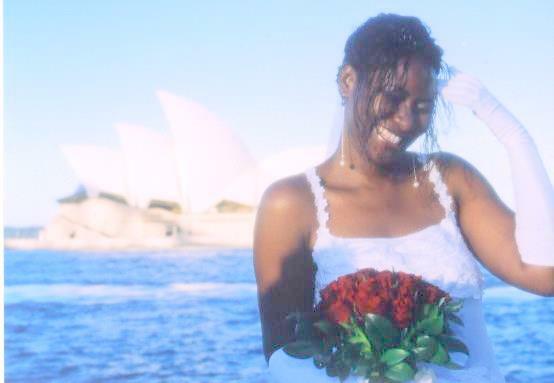 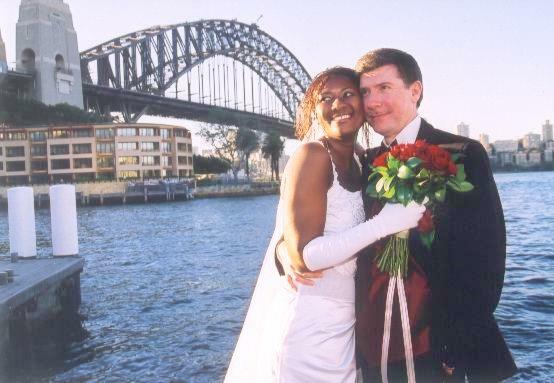 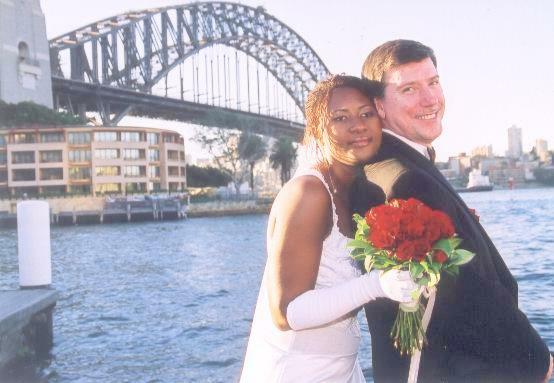 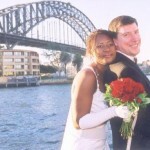 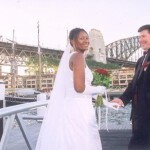 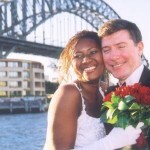 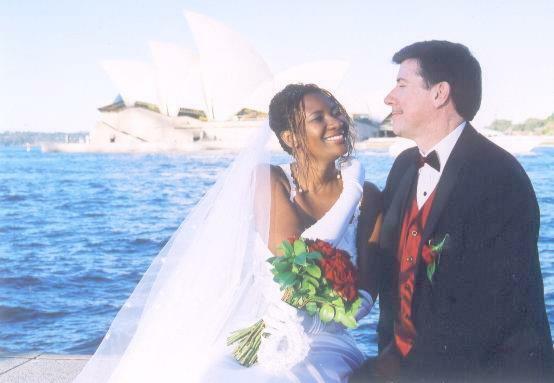 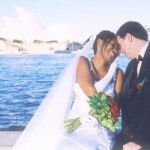 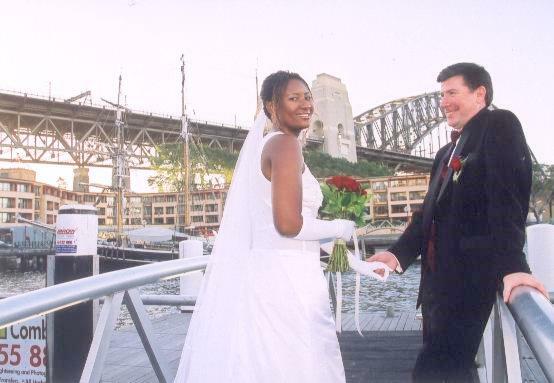 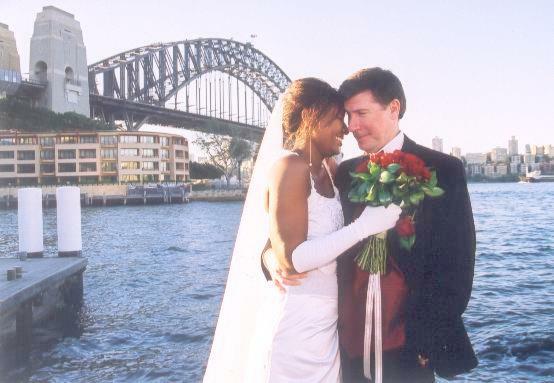 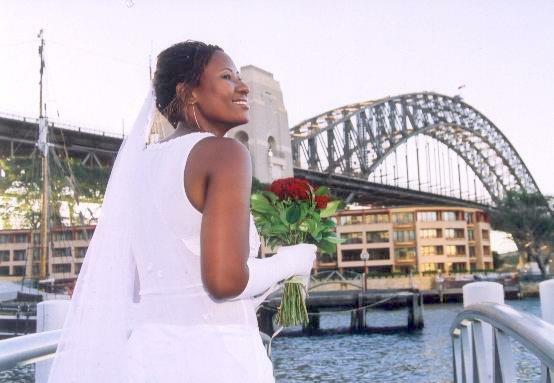 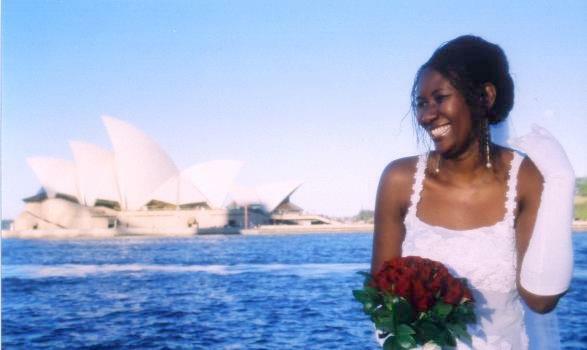 July 1, 2004 – It was a beautiful sunny winter’s day in Sydney, Australia. 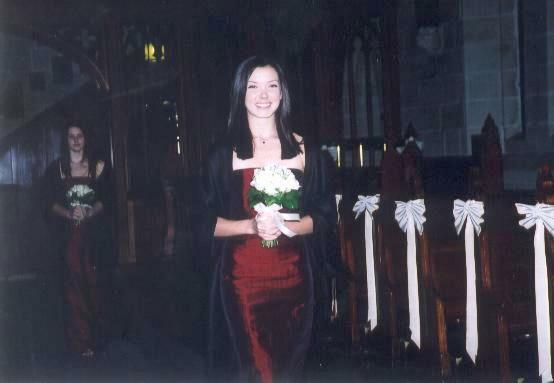 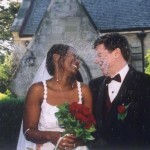 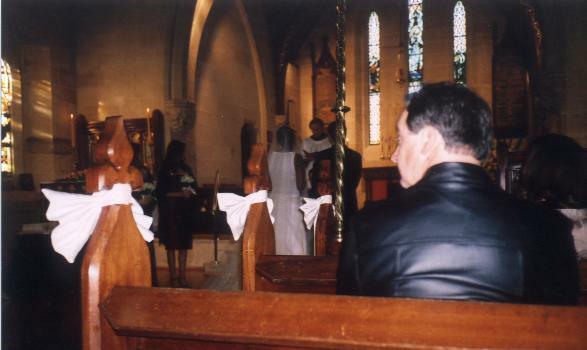 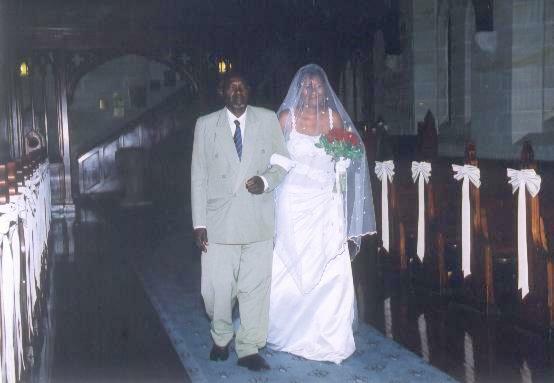 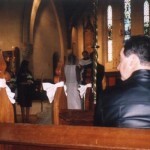 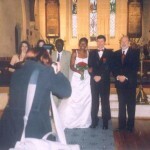 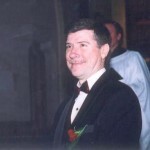 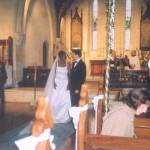 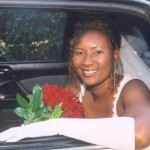 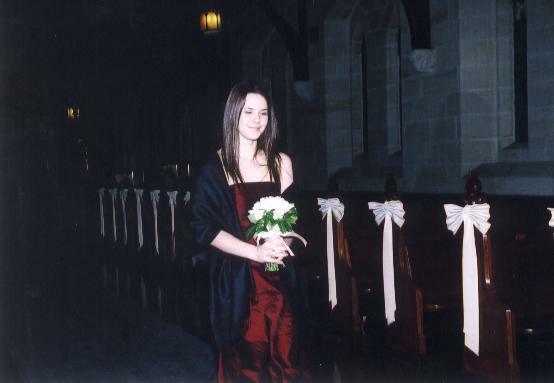 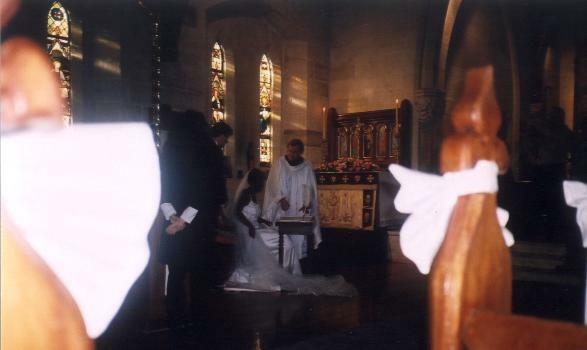 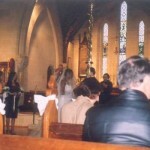 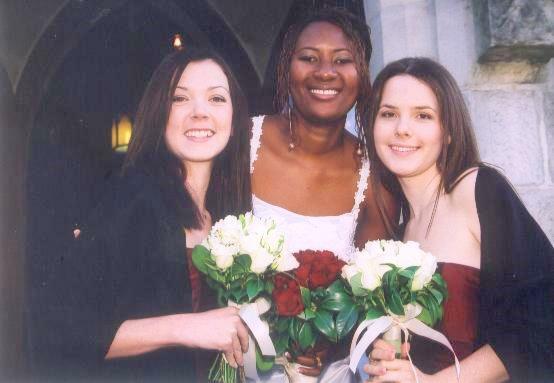 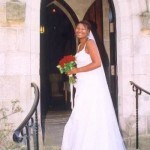 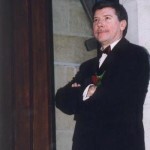 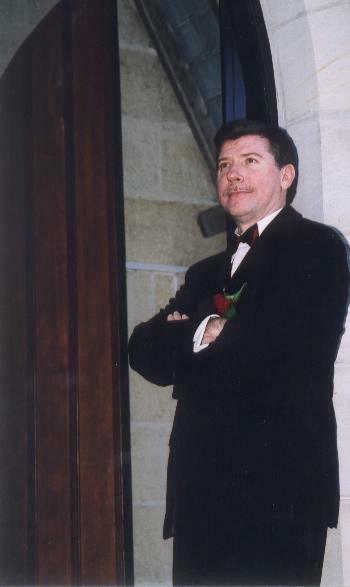 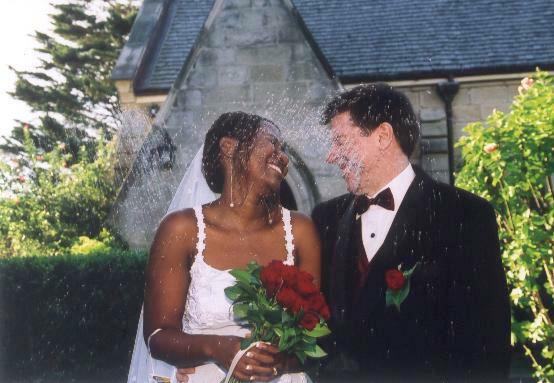 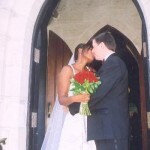 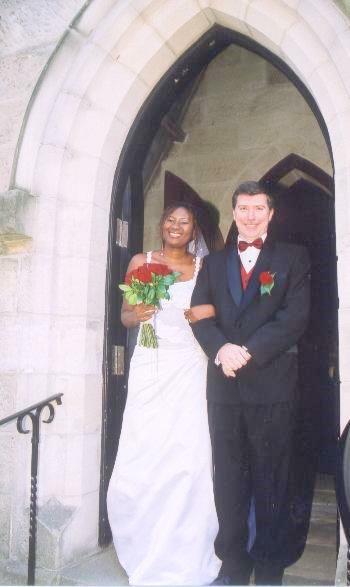 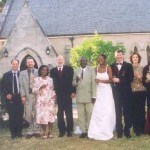 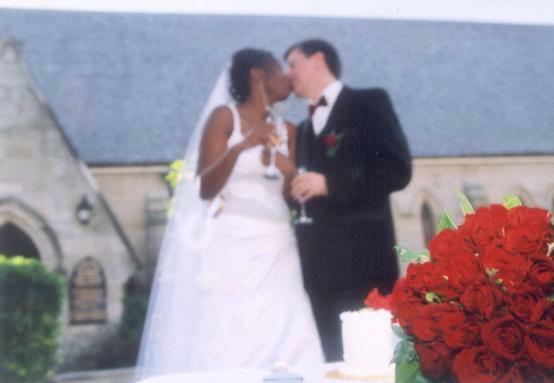 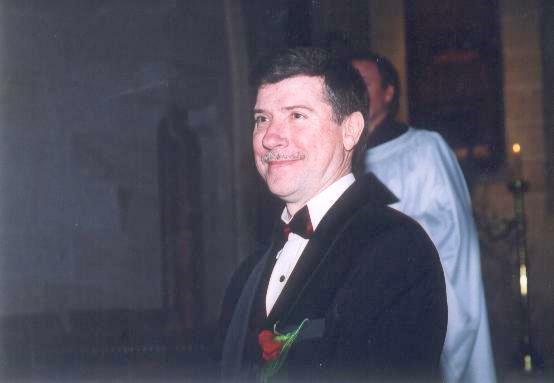 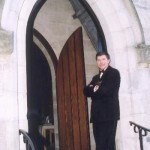 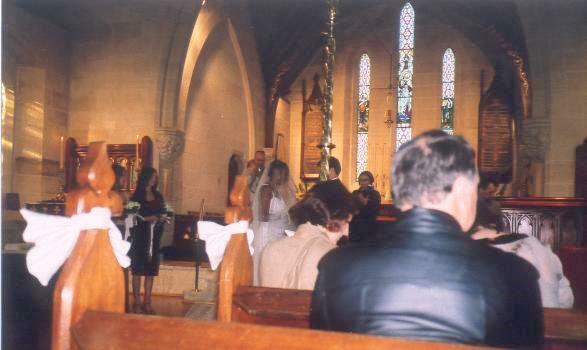 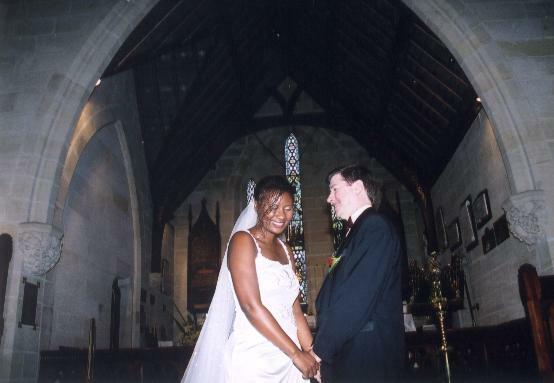 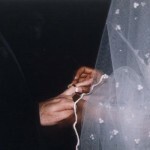 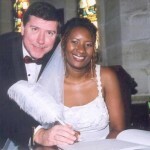 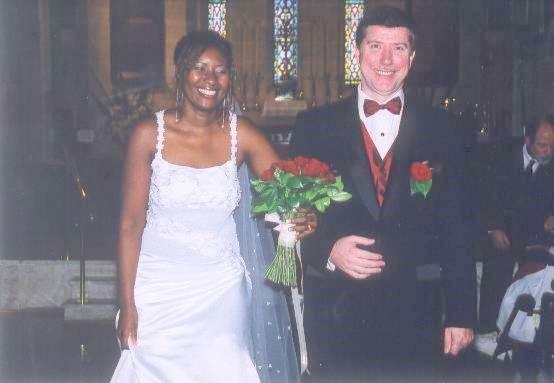 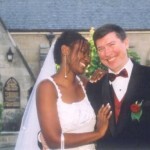 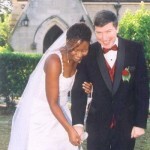 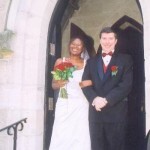 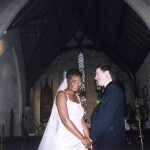 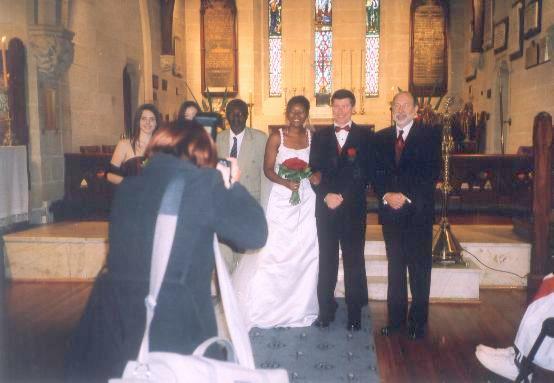 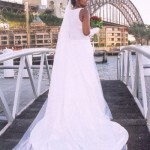 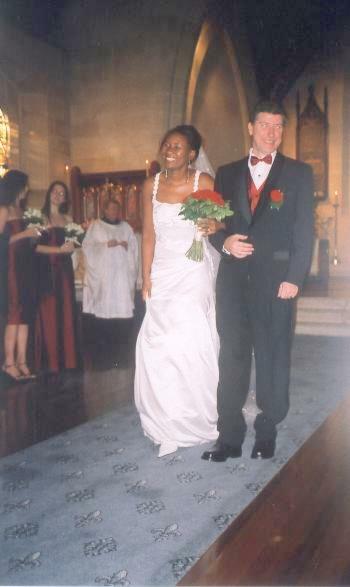 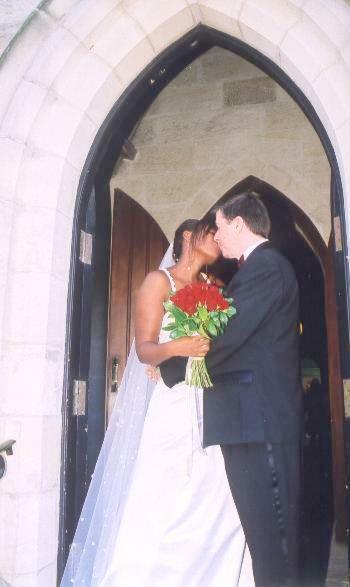 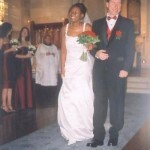 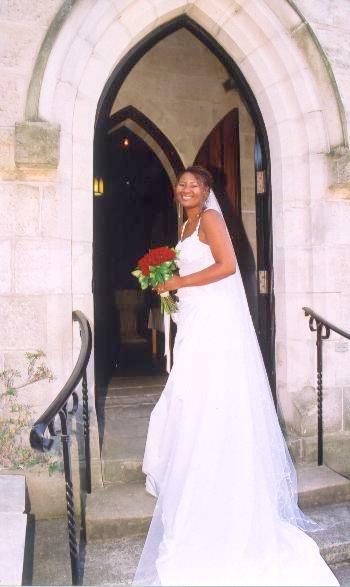 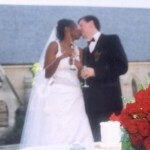 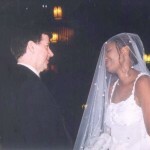 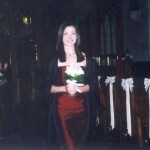 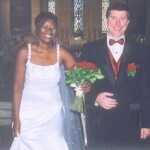 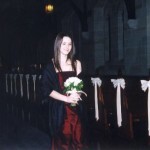 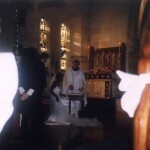 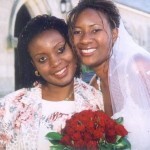 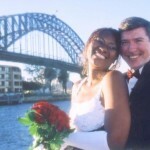 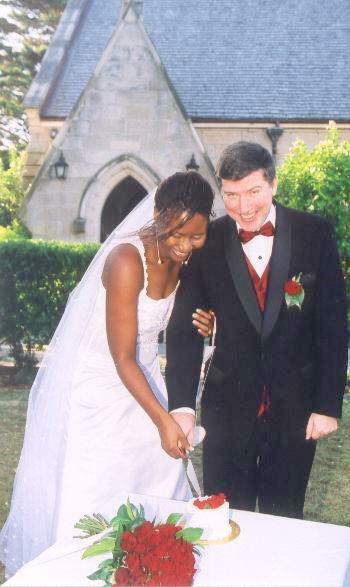 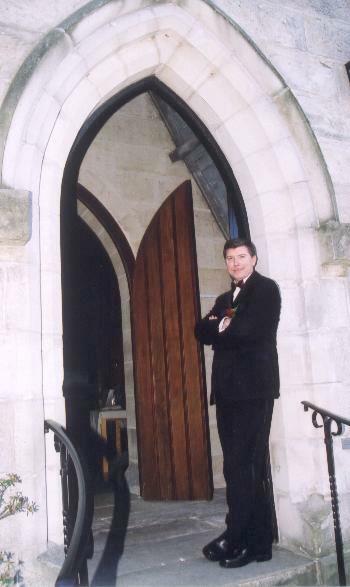 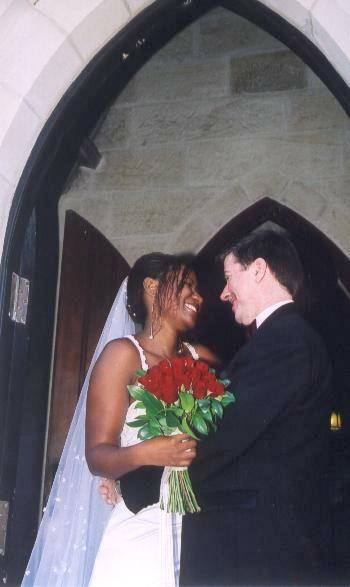 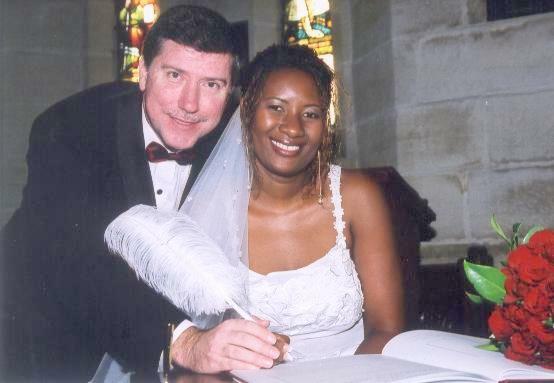 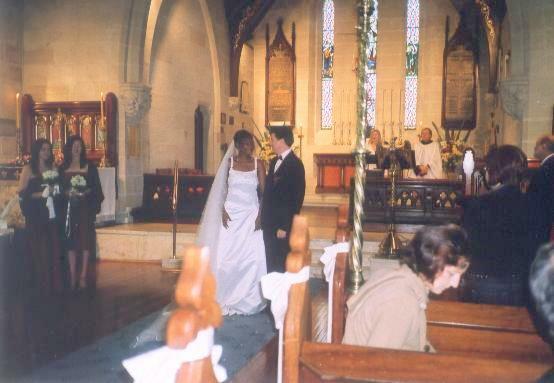 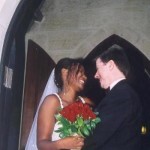 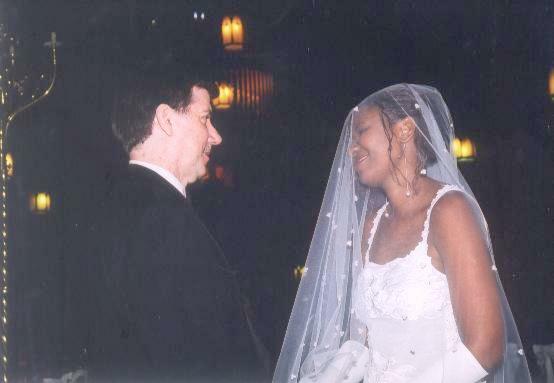 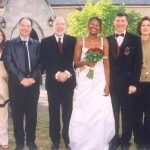 We were married in a lovely Old Church near Sydney Harbour. 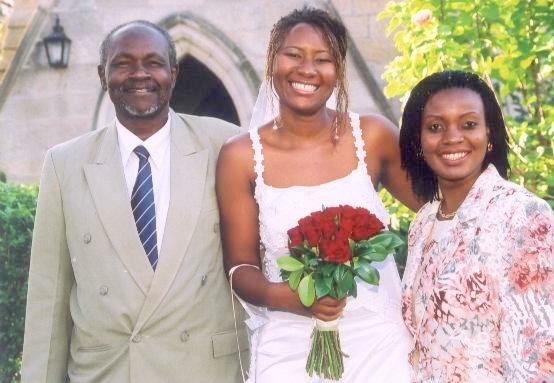 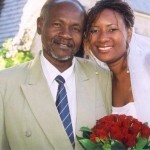 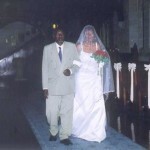 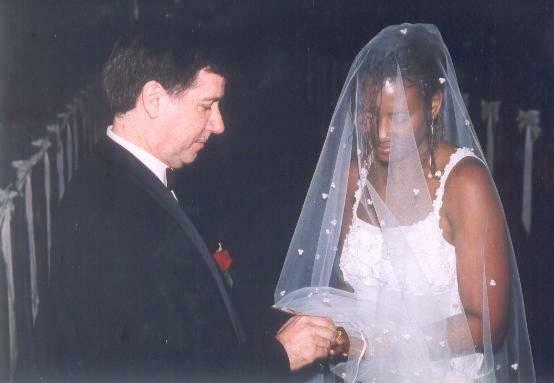 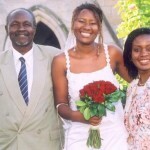 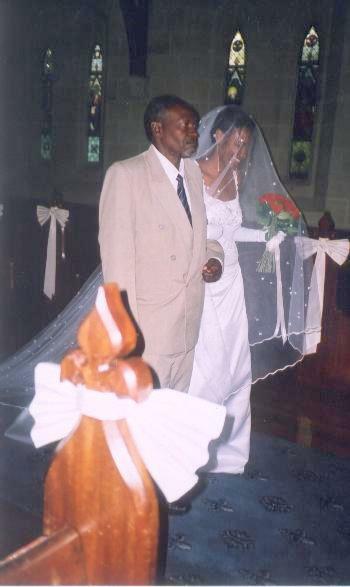 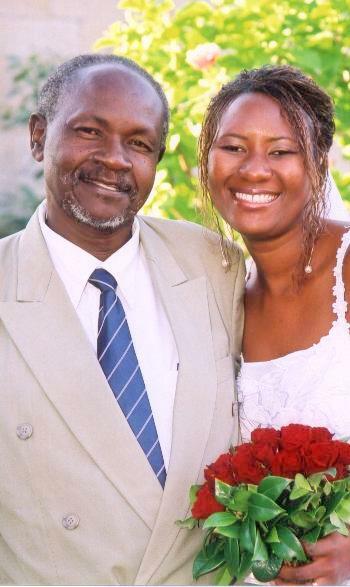 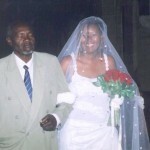 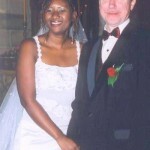 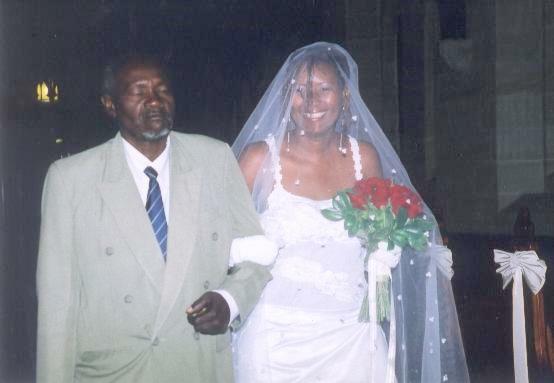 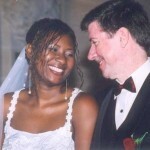 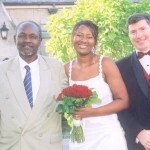 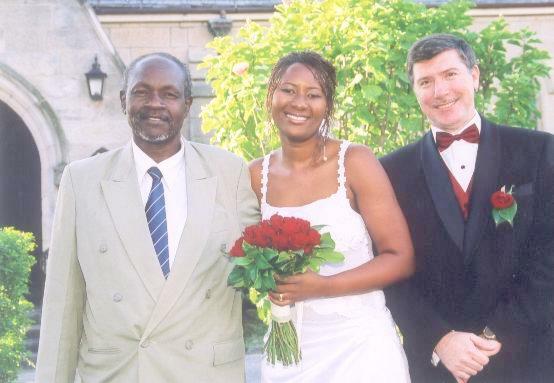 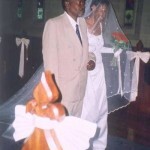 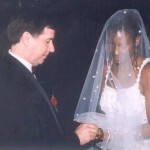 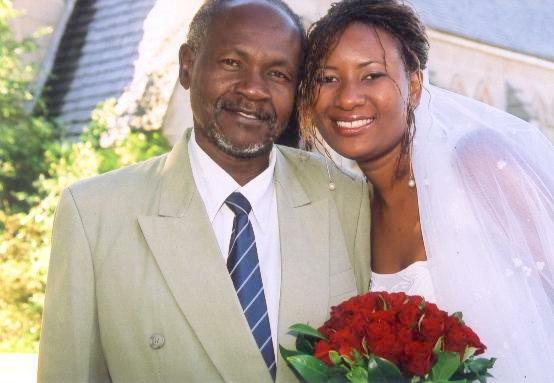 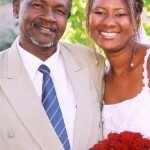 My father came all the way from Tanzania to give me away. 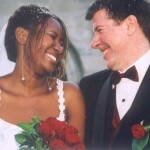 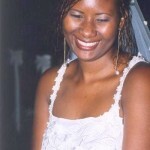 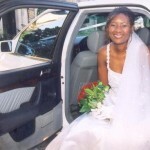 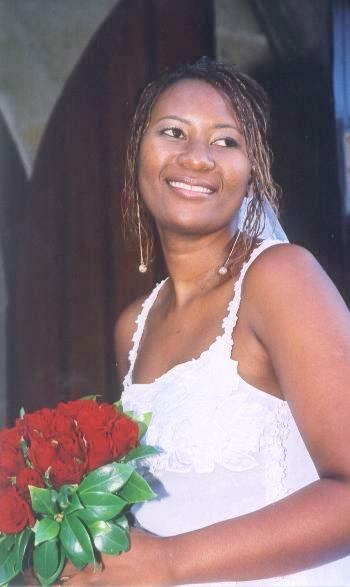 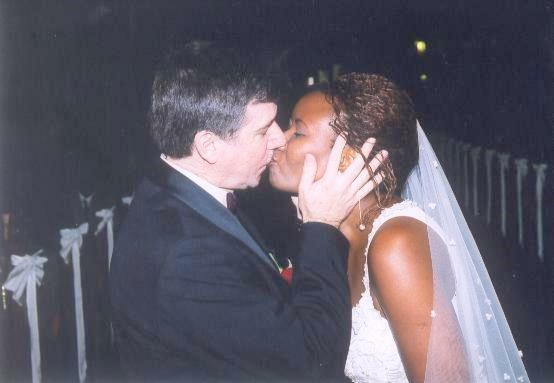 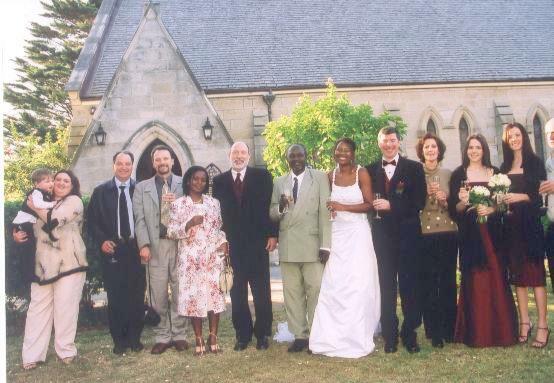 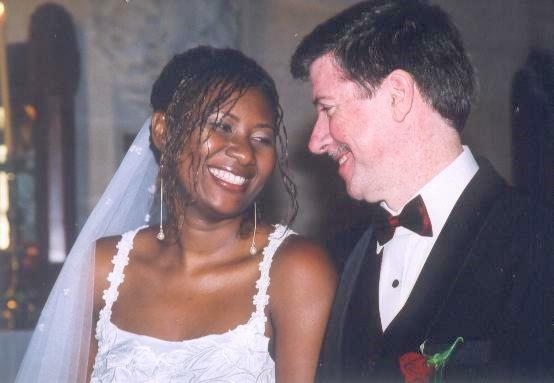 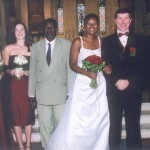 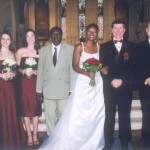 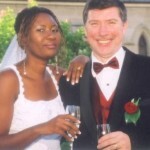 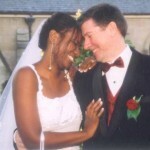 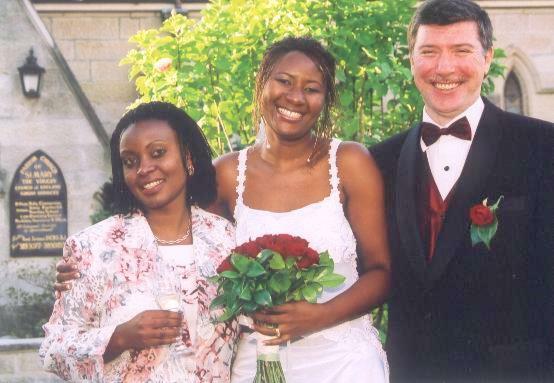 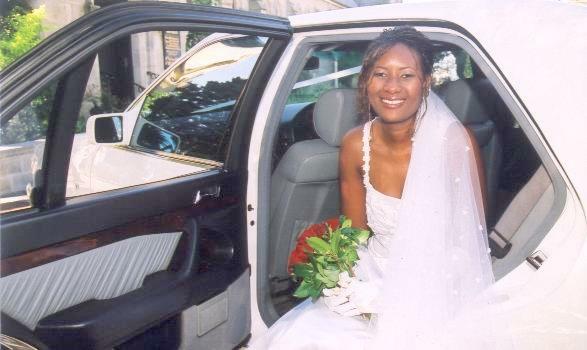 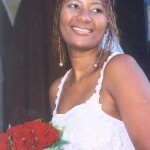 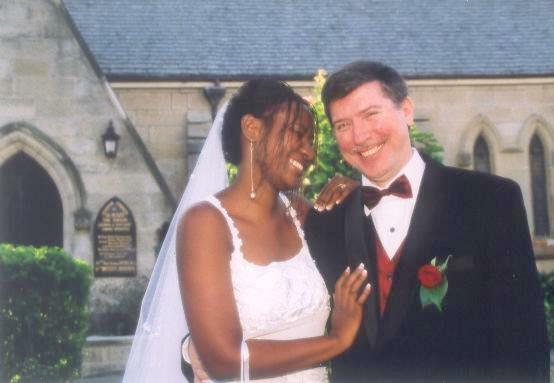 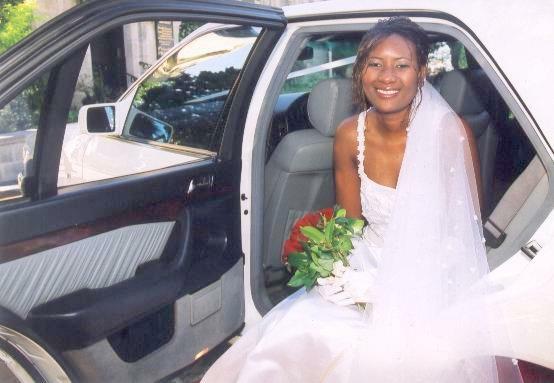 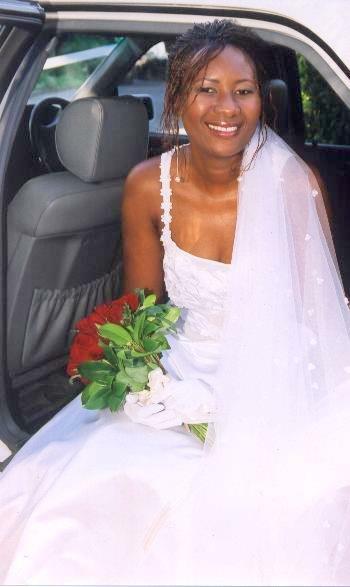 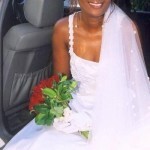 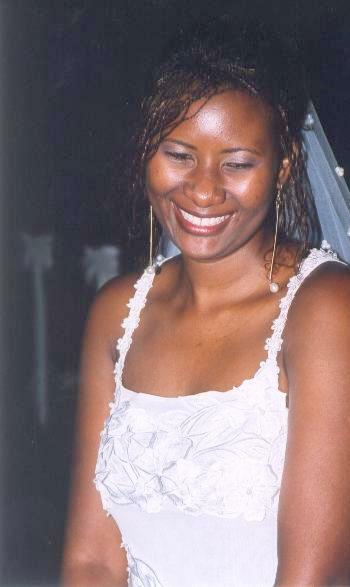 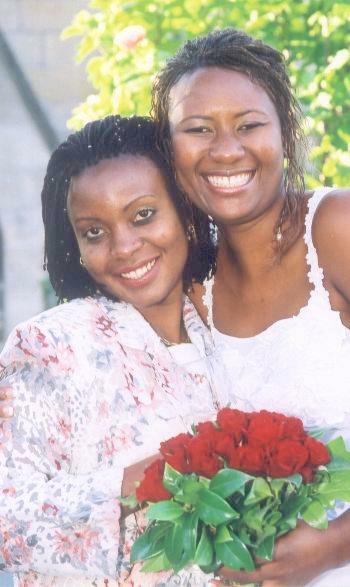 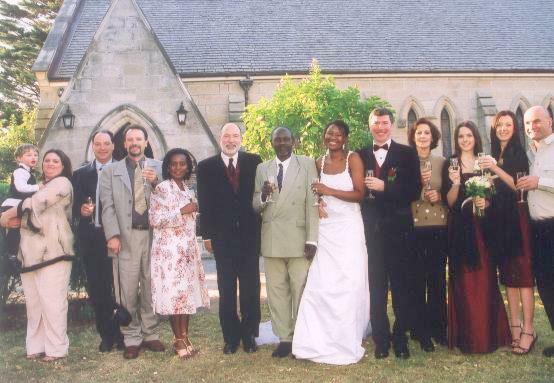 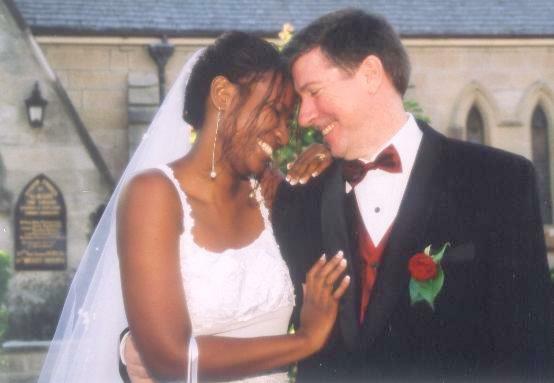 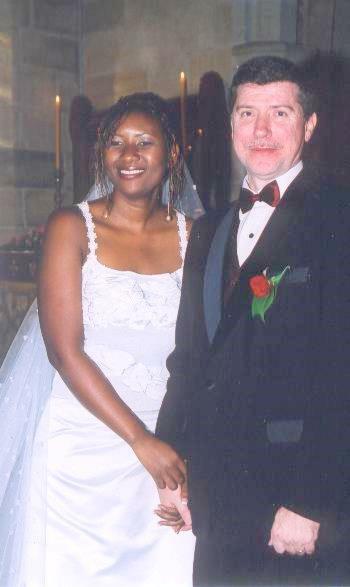 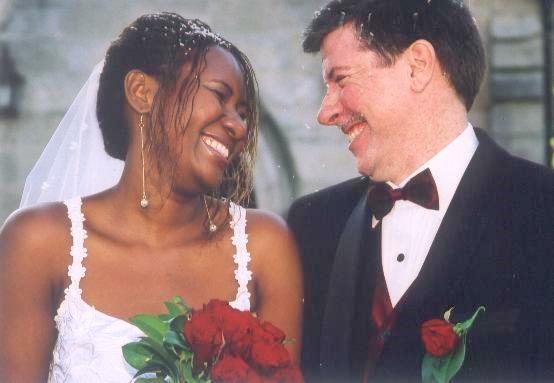 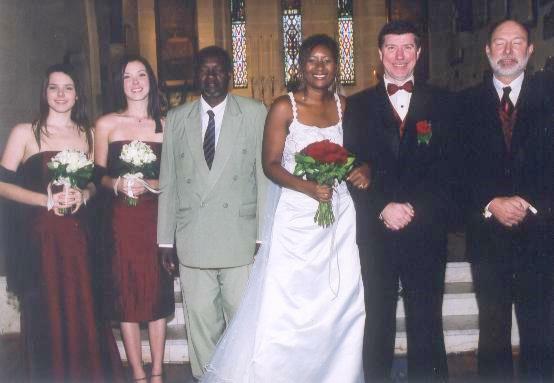 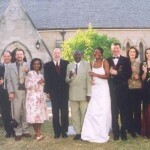 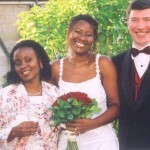 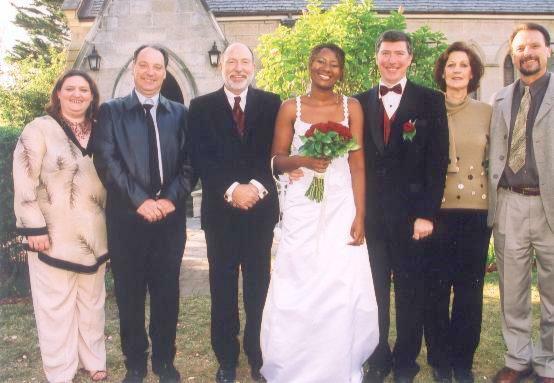 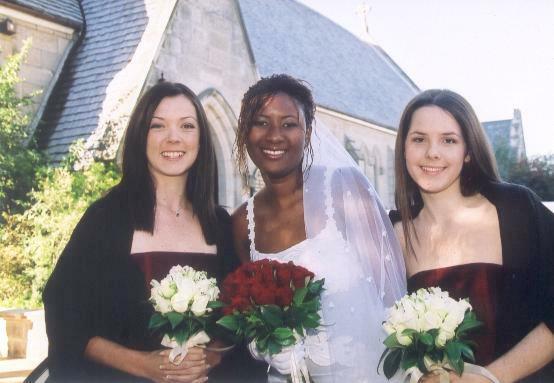 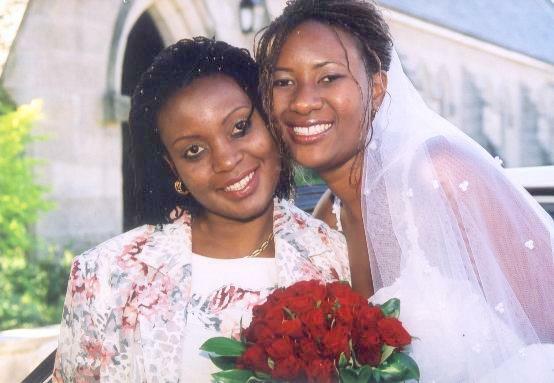 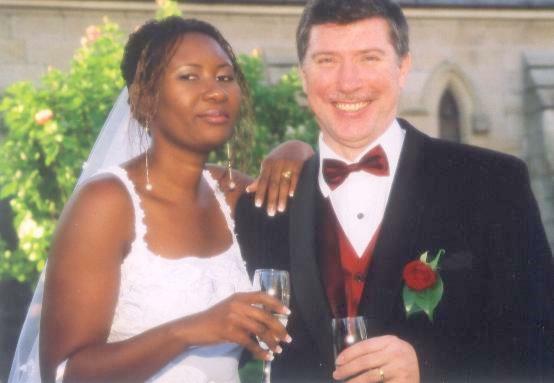 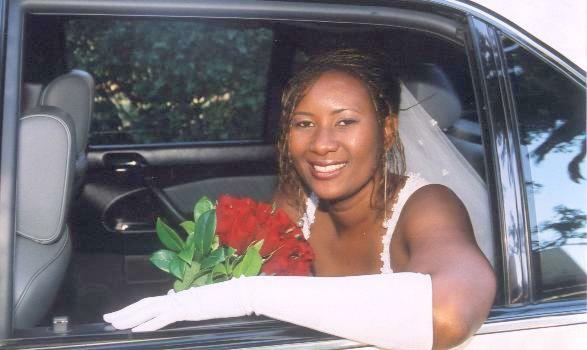 My good friend Stella flew from Nairobi especial for our wedding and Bart’s family also flew in from different parts of Australia, we were very grateful to all of them for helping us to celebrate our wedding day. 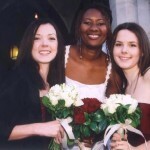 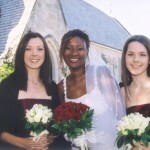 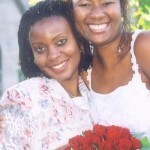 I really appreciated having Skye and Jenny as my beautiful bridesmaids, they real helped to make our day a special one. 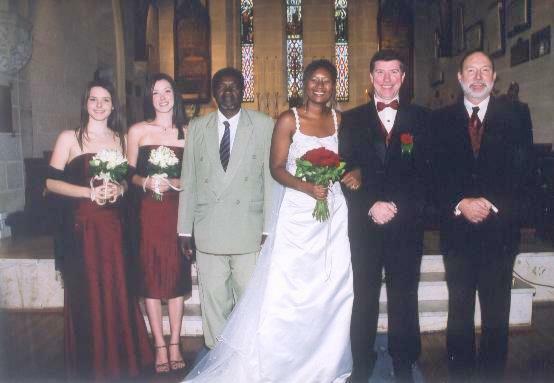 Asanteni Sana!